Special Education Resources: Co-Authoring with Students? Here’s How. 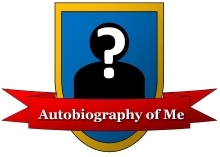 I have used “Autobiography of Me,” a further, personal adaptation of The Book of Me, for a number of years. It is 13 distinct chapters and is a wonderful excursion into a variety of topics that invites students to explore various aspects of themselves through writing. It is a lengthy personal narrative. When students complete it, they are beaming with pride. After all, they have created a book about one of their favorite topics; themselves. But, you may ask, What does “Autobiography of Me” have to do with co-authoring with students? A student with special needs and I used “Autobiography of Me” as a springboard to write a book together. You can co-author literary pieces with your students, too, and I hope that the free download I’m offering may serve as a framework for achieving that objective. The first thing you will receive in this PDF package is an outline of the chapters and procedures. This literary journey for students can be done as a stand-alone project with the teacher as a guide on the side. It is important to remember that this is not only about how a teacher writes with a student, it is also about how a student can develop into a writer with guidance and support from an adult. Second, I’ll illustrate how you can do “Autobiography of Me” withyour students. I am convinced that your students will become better writers when they see you write. As you already know, modeling is powerful. Alfie Kohn referred to this as “Teaching by Doing” in his article Challenging Students and How to Have More of Them. You may download the PDF version of Autobiography of Me completely free of charge here. As I mentioned previously, Kristina and I used her “Autobiography of Me” as a springboard to create a book. As a matter of fact, writing a book was justification for her to hang around for a second year of eighth grade. Kristina is an individual with cerebral palsy which necessitates her using a wheelchair. One thing that she expressed to me was her love of writing due to the fact that it was, and still is, something that she can do. We decided to do this because we wanted to get our voices heard. Kristina wanted to express herself as a spokesperson for those with disabilities and to write about how students with diverse needs can overcome barriers and rise to the challenges of life. She wanted to write about her views as a student with special needs. She wanted to talk about her life, her involvement in adaptive sports, her efforts to raise funds for those in need, and to raise awareness that those with diverse needs can fully participate in life. I wanted to share my experiences from the lens of a special educator and impart some instructional techniques that I found to be successful. I also wanted to voice my opinions about how educational reform was adversely affecting special education students and how we can make things better for students, especially those with special needs. Because of physical limitations, Kristina dictated much of her part of the book to me while I wrote. This process was much better than her composing on her own. Still, it took time because Kristina’s ability to speak fluently is also affected by her CP. We would write a few paragraphs or pages together and then revise for her sections of the book. We planned our topics constantly using webs or mind maps. This was the roadmap for our drafting. My sections of the book were written largely in solitude. Much time was spent before the blue glow of a computer. When we had our draft done, I was fortunate enough to cross paths with a book shepherd, a coach to take us through the publishing process. If there is one thing that an aspiring author should do, I found, was to have your work professionally edited. We did. Our original book of 8 chapters morphed into a book with 20 chapters. We found that our editor did not really change the actual writing and content of our book, but he certainly changed the order and added quite a few headings. The next stages included developing a book cover, layout (which included adding pictures), and printing. Our book shepherd guided us through this process every step of the way. Many of the techniques that I described in “Splicing it Together”(included in the free download) could be used if you decide to write a book with a student. Of course, you and your student will have to decide what your passions are with respect to what you will want to write about. Will it be nonfiction or fiction? Who will your audience be? How will you market your book if that is one of the purposes of writing it in the first place? When will you get together to write? What will your support systems look like? Who is going to be on your book publishing team? 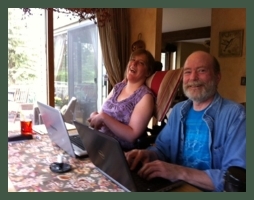 Writing a book together is labor intensive. It is an exhilarating experience as well. When you see your book for the first time in your hands, you will be at a loss for words. Kind of ironic that an author would say this given that words are their passion. If you happen to find a student that is willing to do this with you, my humble advice is simply this. Write. Billington, Darrell. The Book of Me, adapted by Jennifer Thompson and Tracy Stegall, Boulder Valley Schools, Colorado. Lidicker, Dale and Halstead, Kristina. The Epitome of Grace: A Journey of Student and Teacher. 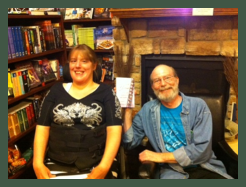 Dale Lidicker and Kristina Halstead are the authors of The Epitome of Grace: A Journey of Student and Teacher. Our book is available on Amazon. Dale is a middle school special education teacher in Colorado. He also teaches undergraduate and graduate classes in teacher education programs. He can be contacted at dale@wheelspressbooks.com. Kristina is involved in adaptive sports, local community events, raising money for charities for those in need, and an ardent advocate for those with special needs. She can be contacted at kristinahalstead@msn.com.